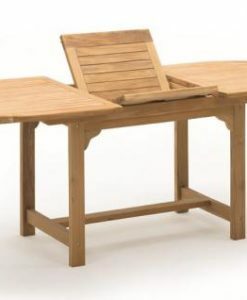 The Edge Extension Table brings convenience and style to any outdoor arrangement. 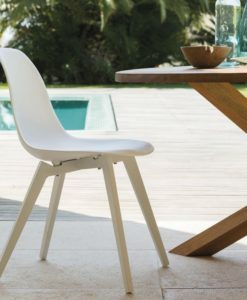 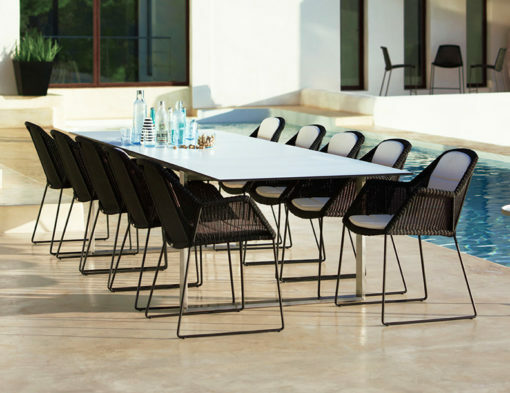 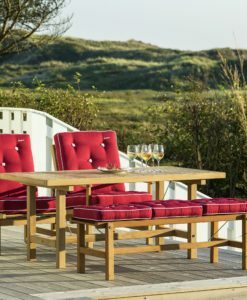 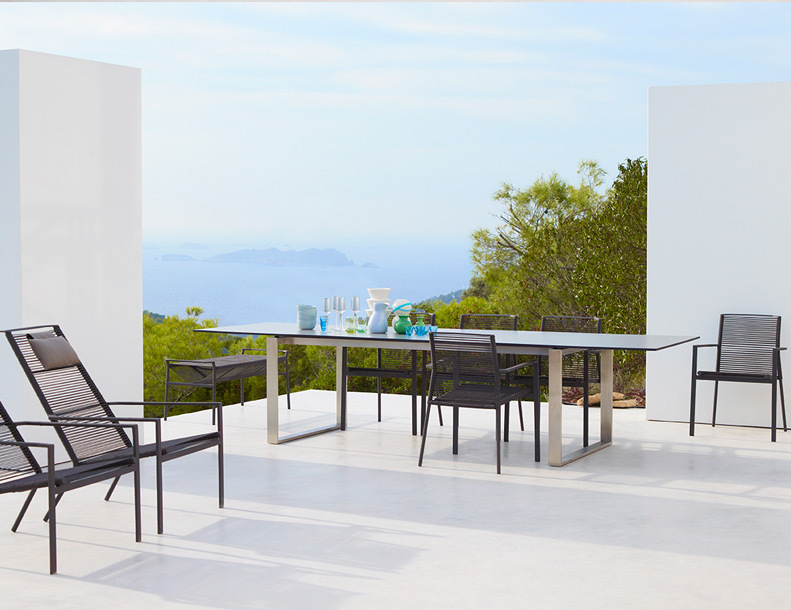 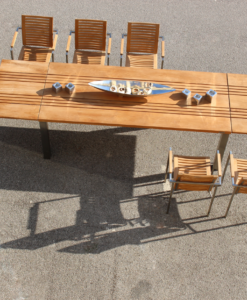 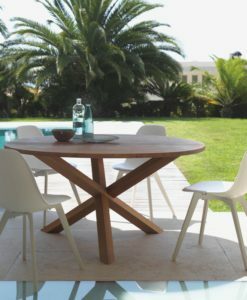 The minimal and modern outdoor dining table can easily accommodate small and large parties as it comes with two extension leaves in the same finish as the table top. 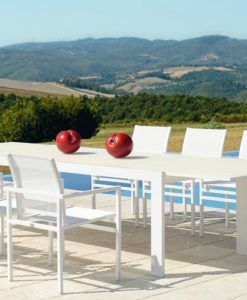 Regardless of where it’s placed, the minimal design of the contemporary extension table as a result, makes it an easy fit for a variety of situations. 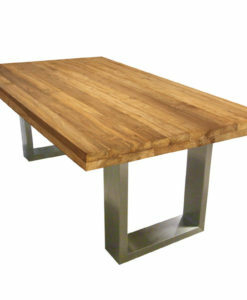 Due of its simple stainless steel base and ceramic or, hpl table top. 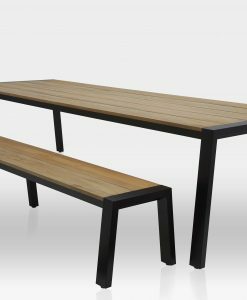 This table can easily with stand environmental conditions due to the materials’ ability hardy make up; making for all around easy maintenance. 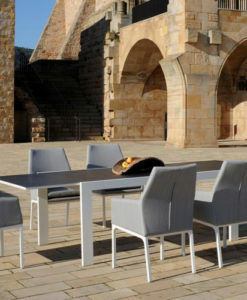 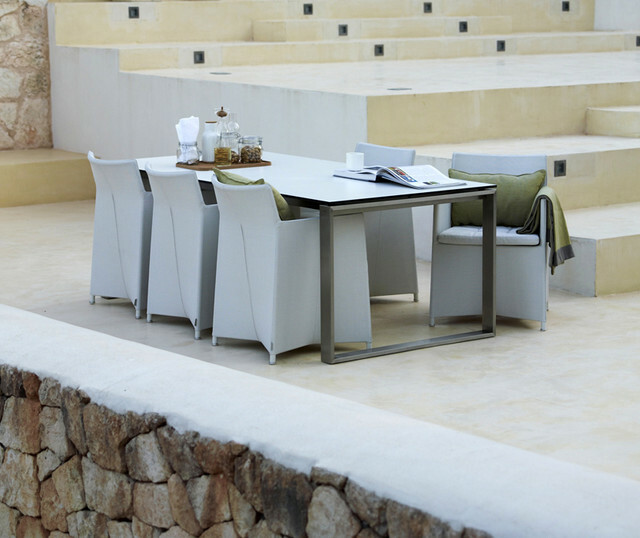 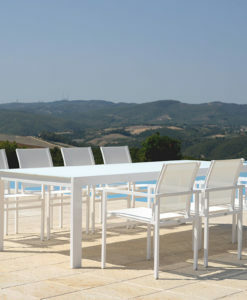 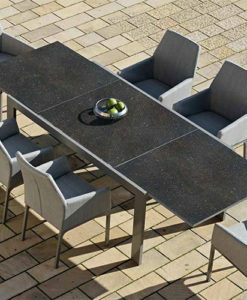 Furnish any outdoor dining arrangement with the Edge Extension Table. 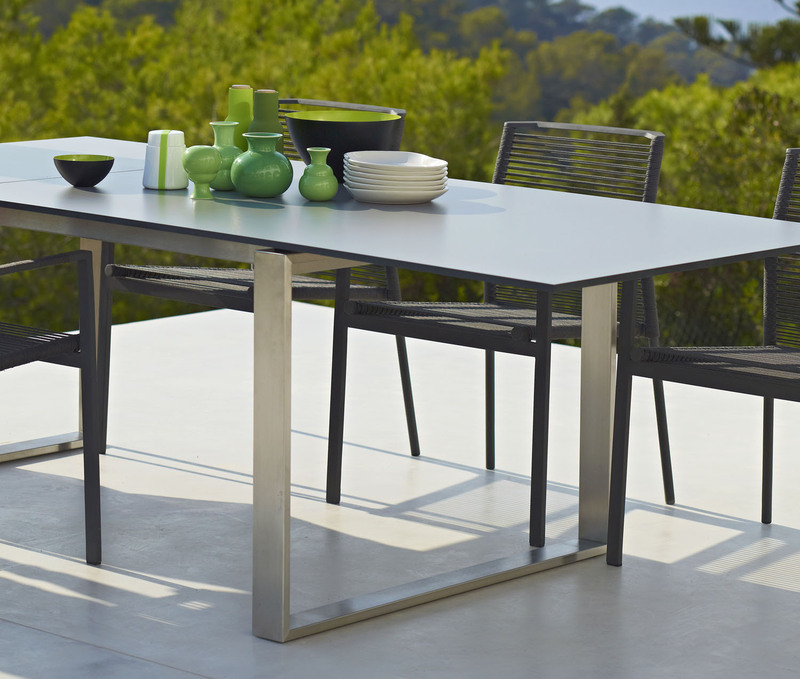 The luxurious extendable Edge dining table in stainless steel and outdoor HPL table top is a perfect way to “extend” your outdoor life in the garden. 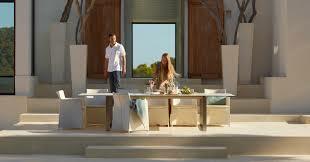 The dining table can extend up to 330 cm 130″ inches and will seat 10 people. 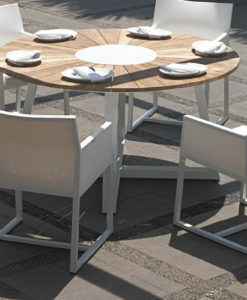 It is very easy to extend the table. 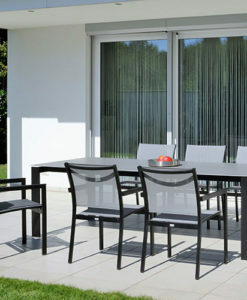 Both extensions are stored inside the table and are therefore easy to operate. 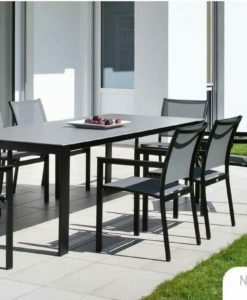 HPL or High pressure laminate is a very suitable material for outdoor use. 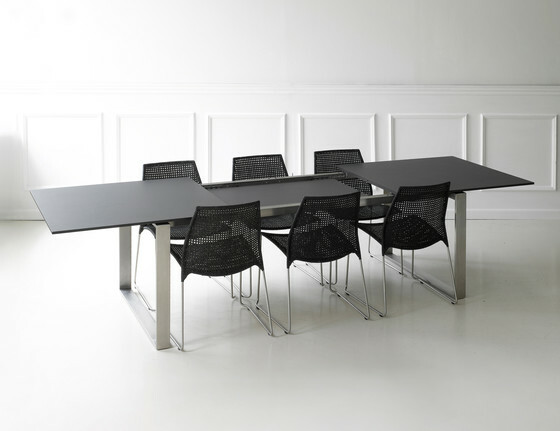 The table top is made from resin-impregnated paper, which is compressed under very high pressure to a strong board with a scratch resistant surface. 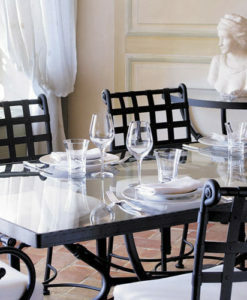 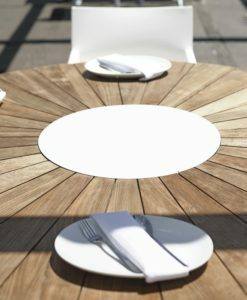 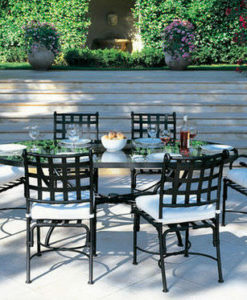 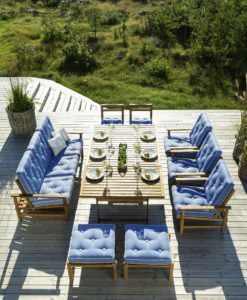 These tabletops require basically no maintenance and as a result can remain outdoors all year round.